All outdoor activities, school tours and field study trips at Kippure Estate’s Outdoor Education Centre (Co. Wicklow) are led by fully qualified and highly experienced staff who are mature, responsible, and friendly. All have First Aid qualifications, as well as credentials in their specific area of expertise (such as ropes course, ecology, etc). We continuously train and develop our team and as a result we are proud to have one of the most respected outdoor activity centres in Ireland. In addition, Kippure Education Centre has a pool of approximately 20 casual instructors with a wide range of qualifications, who we use for a variety of our courses. Martin is a passionate and experienced manager who has custom-designed a wide range of programmes here at Kippure Estate Outdoor Education Centre, catering for groups of between six and 400 delegates. He also works with international training facilitators to support the work they do with high performance management teams. A graduate of Liverpool John Moores University, Martin has a degree in Outdoor & Environmental Education as well as qualifications in rock climbing, mountaineering and water sports – and over 15 years’ experience in the outdoor activities industry. After graduation, Martin worked for two summers in ‘Camp America’ in Minnesota (USA), where after each stay he travelled extensively around the country. However, his passion for mountains and the great outdoors really took hold in the Rocky Mountains of Colorado where he undertook a number of adrenaline-pumping activities, including a stint of rock climbing and trekking. 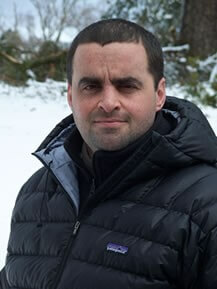 Back in the UK, Martin took a job in residential care, looking after children with behavioural and emotional problems. He then went on to spend two years living and working in Northern France as an Activity Manager for a large UK Family activity holidays and school adventure company. This gave him extensive experience in the field of school adventure and educational tours. Ready for a new challenge where he could expand his experience in the outdoor industry – particularly in the field of outdoor experiential learning and team building – Martin took up the post of Activities Manager with Kippure Estate in 2007. 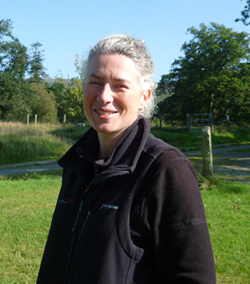 Clíona is responsible for all aspects of our educational programmes here at Kippure Estate. She continuously researches and updates our events and activities, in response to changes in the Irish education curriculum. Clíona is a keen environmentalist, spending many days working on trail repair each year with Mountain Meitheal. She also loves hiking, climbing and martial arts. As a native Irish speaker, Clíona is able to offer programmes in both the English and Irish languages. Dublin born and bred, Clíona obtained a B.Sc. Honours Degree, with a botany major, at University College Dublin (UCD). She then completed her H. Dip. in Ed. at the same university. Clíona has had a varied and interesting career. Upon graduation, she spent a number of years teaching science, maths, art and sports. Then, inspired to set up her own business, she established a graphic design and typesetting company. As a naturally adventurous spirit, Clíona also felt the urge to see more of the world, so she set off for a round the world trip for one year, visiting Asia, Australia and America. The diverse environments and cultures that she encountered on her travels really fuelled her interest in people and development. She returned to Dublin and took up an Editorial Project Management post with the Educational Company of Ireland, working on the market leading publications of Today’s World (LC geography) and Leaving Certificate Biology,amongst others. Clíona then joined Kippure Estate as the Environmental Education Officer in December 2007.